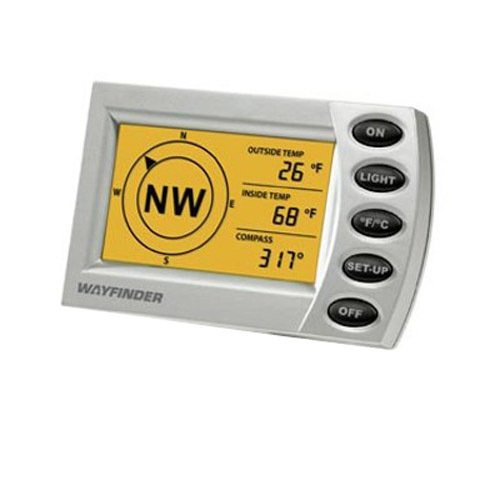 Unfortunately, the WayFinder V2020 Automobile Compass with Wireless Thermometer is no longer available. You can explore other items in the Navigation & Compass category yourself to try and find the perfect replacement for you! With the WayFinder V2020, equip your car with an advanced digital temperature and compass system that's totally wireless, completely reliable, and simple to install. 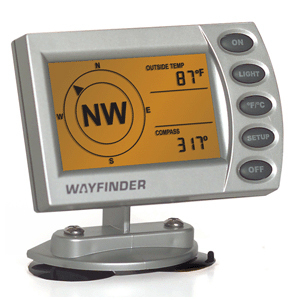 Using Full Spectrumâ„¢ technology, the WayFinder Temperature & Compass System accurately reads a full 155° temperature spectrum â€“ from an amazing â€“35°F to +120°F. Plus, it provides exceptionally precise compass readings using algorithms that compensate for the metal in your car. The same patented magnetic sensor technology used in Ford, GM and Chrysler vehicles assures you of accuracy and reliability. Best of all, the unit installs in seconds, with no unsightly wiring required. 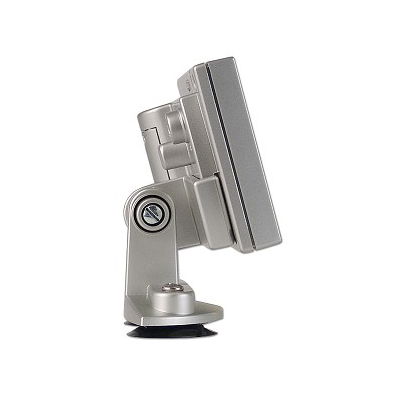 Based on radio frequency and battery operation, so mounting is quick and easy with no dangling wires cluttering your dash. Direction of travel displayed in a large compass rose with directional arrow, 8 cardinal points as well as numerical readout with +/-5 degrees accuracy. Display Dimensions: 4" x 2.5" x 1.5" Temp Sensor Dimensions: 3.75" x 1.25" x 1.25"